Antera & Omaran at their wedding Have I Met My Twin?Twin Flame reunions are the most fulfilling relationships we can enter into as humans, on all levels. However, twin flame couples have been extremely rare on the planet, and for good reasons, which will be described later. Despite this, we are finding that more and more twins are finding each other now, because of the acceleration of spiritual transformation and opportunities for soul evolution we are all experiencing. People are evolving and learning and healing at such a fast rate that they are getting ready for their twins faster. What used to take lifetimes to learn and heal, people are now going through in years or even months. This is the astounding level of acceleration we and the planet are going through. When twins reunite, both of them experience an acceleration of their spiritual growth and awakening. They get on the fast track of learning about esoteric wisdom and experiencing other states of consciousness. They usually haven’t been together all that often during their series of lives on the planet, and so their backgrounds may be different. Yet, there is a closeness and similarities of spirit that are almost uncanny, noticed in many ways, such as looking back at yourself when you look at your mate, and a remembering of the distant past when you first split up. Guidance is strong with these relationships, and usually one or both have a good channel for communication with Spirit. Their connection is telepathic, and hugging each other is like coming home for nourishment. Antera and Omaran Are Twin FlamesShortly after they met in 1994, they each found this out independently, through their guidance. They knew immediately that they were called together by Spirit, but they had to overcome many obstacles to get together, then many more to stay together. In 1998, they were visited by St. Germain, who asked them to carry the Twin Flame Archetype energies for the planet. They accepted, and special flames were passed from the previous holders to them during a powerful ceremony on the inner planes. After almost a year of probation (unknown to them until it was over), they were taught more and more about how to use these flames. Since then, Antera and Omaran have spread this knowledge of twin flames to many people by sharing their story. Antera’s book, Twin Flames: A True Story of Soul Reunion describes the intense experiences she and Omaran went through as they met, drew on Spirit to overcome obstacles to their getting together, then were challenged to heal all unresolved pain in their past so they could move forward with their spiritual service. 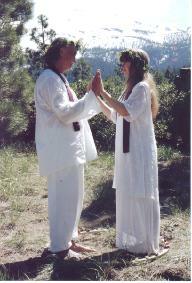 An amazing, inspiring story of True Love and faith for lightworkers. The book has been turned into a two-person musical, which Antera and Omaran perform. A CD of the songs from the musical, also called Twin Flames is available. They teach workshops, do lectures and performances, and help many couples and individuals through personal sessions. They also do sacred weddings. For more info on Antera and Omaran see their personal website Twinsong.us. ~ by indigolifecenter on January 16, 2008. Hello Antera and Omaran! I feel that I have just met my twim soul flame. Much of the description above fits. I read chapters 1&2 of your book and wondered about the hug. Do all the twin soul flame relationships you know about experience this out of body flying when the chakras unite? My partner is noticing acceleration in his body, an actual physical change. He is GROWING in height. He is definitely feeling something happening to his spine. I know he is accelerating his ascension process, something I have been going through myself now for a few years. We are aligning up our chakras by spending time together and sleeping is very deep. We have not united sexually yet as we want to tune in more first. We feel telepathically tuned in from the first meeting only 9 days ago. Can you tell me more about the chakra synchonising process? I am buying the essences to help us.